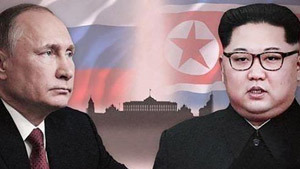 North Korean leader Kim Jong-un will meet with Russian President Vladimir Putin next week, according to a diplomatic source in Russia. It would be Kim's first overseas trip after his failed summit with U.S. President Donald Trump in Hanoi in February. Speculation is rife that Kim is trying to find a way out of international sanctions through Russia and China after he warned Seoul and Washington last week that they must change their approach. The source said Putin will visit Siberia around April 24, and it is likely that he will meet Kim there. Kim's head of protocol, Kim Chang-son, visited Russia on March 19-25. Meanwhile, Deputy Chairman of the State Duma Sergei Neverov told TASS news agency on Sunday that Pyongyang has taken an interest in purchasing a Russian civilian aircraft. He is currently on a visit to Pyongyang for the 70th anniversary of diplomatic relations between the two countries. He added that considering the North's suspension of intercontinental ballistic missile tests, dialogue can start on easing the sanctions, at least from a humanitarian viewpoint. 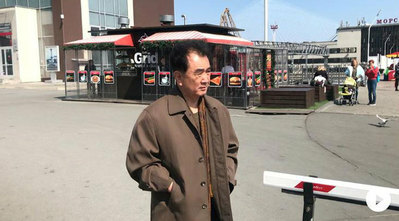 South Korean Vice Foreign Minister Cho Hyun, in a meeting with his Russian counterpart in Moscow the same day, expressed concerns about Russia's push to ease sanctions. The North Korean propaganda machine is increasingly stressing founder Kim Il-sung's "juche" or self-reliance doctrine as no immediate easing of sanctions seems in sight. The official Rodong Sinmun on Monday said the North must "further accelerate the revolutionary process under the banner of self-reliance and self-help and with the might of science and technology."